Frankincense and myrrh are essential oils. 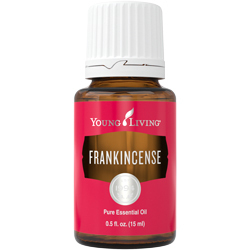 Frankincense is distilled from the Boswellia tree that grows in Somalia, Oman, and Yemen. Myrrh, comes from the commiphora myrrha tree also found in the rocky soils of the mid east and Africa. Both are gum resins derived from the sticky sap of the trees. For some 5,000 years pack animals and ships ventured across Asia, Africa, and Europe on thriving trade routes to disperse frankincense and myrrh throughout the ancient world. References to both religious and medicinal uses are recorded in historical accounts. The Greek historian, Herodotus, cites their usage in Egyptian animal sacrifices and human mummy preservation. African societies have burned frankincense for centuries to ward off illness. Science is now supporting the idea that it works as an insect repellant against the mosquitos that carry tropical diseases. The most valuable knowledge to modern man may be in the medicinal uses of them as time-honored remedies. Frankincense is high in several therapeutic chemical constituents, including sesquiterpenes, known to stimulate the limbic system of the brain. It appears to have a balancing affect on the hormone-producing glands of the brain–the hypothalamus, pineal, and pituitary. Thus, frankincense is known for its mood uplifting benefits. Frankincense is a master essential oil and used to treat a wide range of ailments including immune disorders, chronic diseases, and tumors. Maladies associated with frankincense include infections, ulcerative colitis, osteoarthritis, and even cancer. It is on the GRAS list (Generally Regarded as Safe) and can be ingested in very limited amounts. Check with the manufacturer to make sure it stands behind any internal use their product. Myrrh is thicker and stickier than frankincense and became widely used for skin care in ancient times. Egyptian traders survived the harsh Arabian deserts by placing cones of fat laced with essential oils on their heads that melted during the day and gave their skin a protective coating. Myrrh served as a sunscreen and is being rediscovered today for its beautifying properties. Today it can be found in toothpastes, skin creams, and ointments for natural skin care. Chinese medicine cites benefits to the circulatory system and female disorders. Neat application–a few drops applied straight from the bottle to the skin. Place either on an area of concern, or infuse into the system by rubbing onto the bottom of the feet, most effectively after a bath or shower. Diluted–Mixed with a carrier oil such as avocado, sesame, or olive, essential oils are massaged on the back or affected area. Diffused–Released into the air by using a mechanical diffuser, the essential oils are gently inhaled and absorbed through the lungs. So the next time you hear about the three wise men following that bright star across the Holy Lands to Bethlehem, take a moment to realize how gratified Mary and Joseph must have been to receive such precious gifts. In choosing gold, frankincense, and myrrh as presents for the baby Jesus, the Magi revealed great wisdom indeed for offering gifts of great value to honor the newborn King. Connecting Frankincense to the pineal is fascinating. Why do so many religious traditions use incense in sacred spaces?